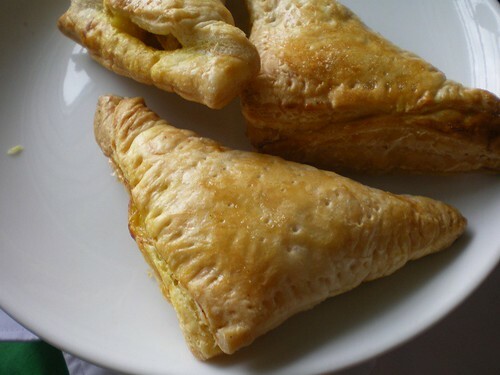 I have always wanted to make curry puff because I love it so much. However, the thought of messing with the dough for the skin and the heat of deep frying them turned me off. So, this is the first time I attempted making curry puffs, using shortcuts. I use the frozen puff pastry from Kawan which comes in squares. (you can see the post on Kawan pastry, can be bought from most supermarkets) All I need is to fold the square into a triangle, seal the edges with some egg yolk, press the sides with a fork and make some holes for steam to be released (to avoid exploding and overflowing puff). Then, I give it an egg wash with the egg white and bake them for about 20-25 minutes at 200 degrees. Heat pan and put in mustard seeds and curry leaves to pop. Stir fry. Remove from pan and leave to cool down. 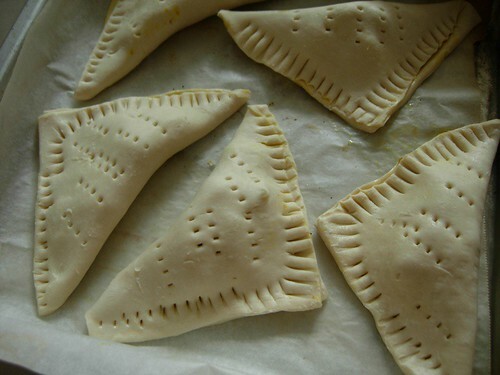 To make the curry puffs, put a tablespoon on more of the fillings and sealed up the edges like mentioned above. Bake. Do not put too much fillings to avoid the edges opened up, leaving an unsightly looking curry puff. 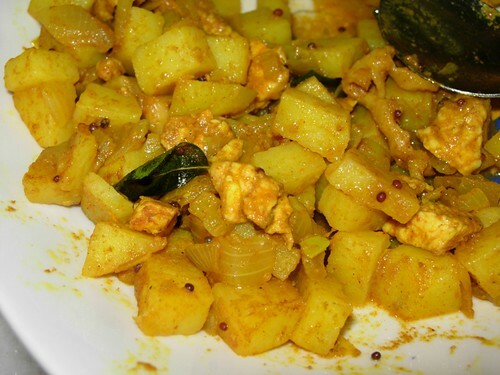 If you have fillings leftover, just serve with rice as a potato dish. The curry puffs are so delicious! Try it, it doesn’t take much work. If you like you can also put hard boiled eggs quarters as fillings. However, it is rather hard to squeeze too much fillings into a tiny square. Hi there, nice karipap, looks like easy to make also. May I know where is Kawan? The place u bought the karipap skin. Thanks. Ah Sui – I have just added the link where you can see the packaging. Can be bought from most supermarkets. If cannot find Kawan, can buy those imported ones like Pampas but it is a lot more expensive. Thanks for this. I have been looking for a pastry puff to make sardine puff. 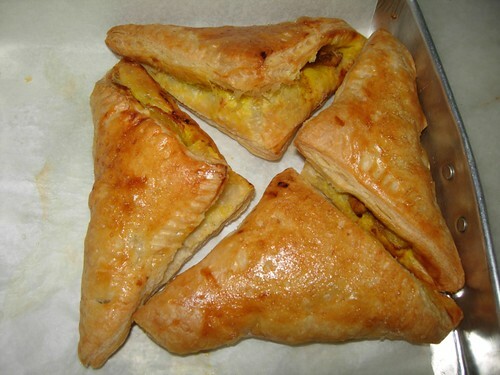 Will try this curry puff recipe too. Thanks for the post.